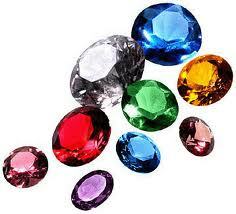 We offer a huge selection of gemstones to fit any budget. We carry faceted and cabochon precious and semi-precious gemstones as well as lab created and synthetic birthstones. We offer diamonds in all sizes, cut, clarity, and color so you get the quality that you desire. A stone or gem cut with a number of different faces to increase light refraction within the stone adding sparkle and luster to the gem. 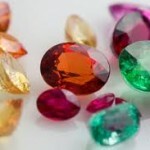 Faceted gems may be bezel or prong set. 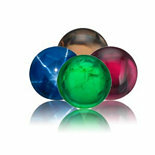 Cabochon gems are smooth and cut in a convex shape (dome shaped) with rounded tops with a flat bottom and highly polished. They are made to be set in bezel settings and cannot be set into a prong setting because of the flat bottom.